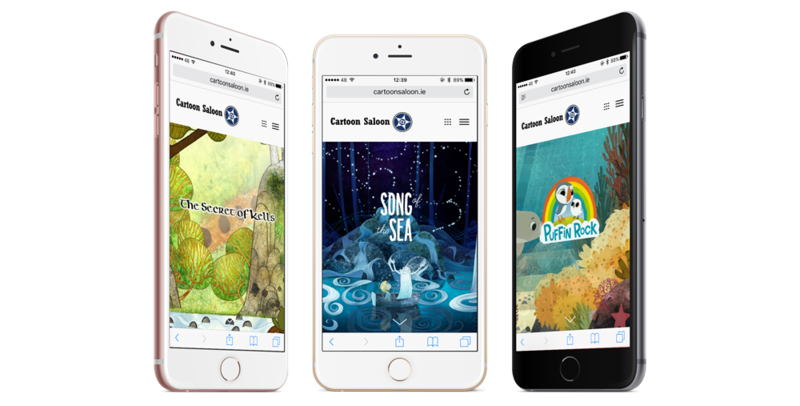 Cartoon Saloon is a twice Academy Award® and BAFTA nominated animation studio, they create award-winning shorts, feature films and TV Series. 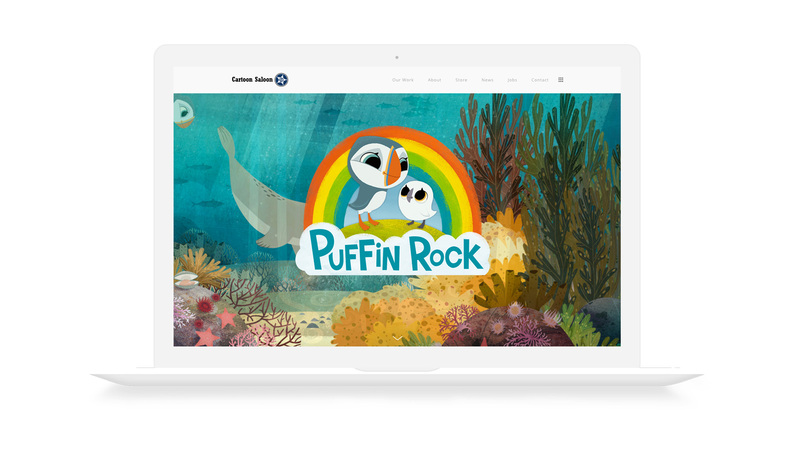 Cartoon Saloon has carved a special place in the international animation industry, delivering favourites such as 'The Secret of Kells', 'Song of the Sea', 'Puffin Rock' and 'Skunk Fu!' 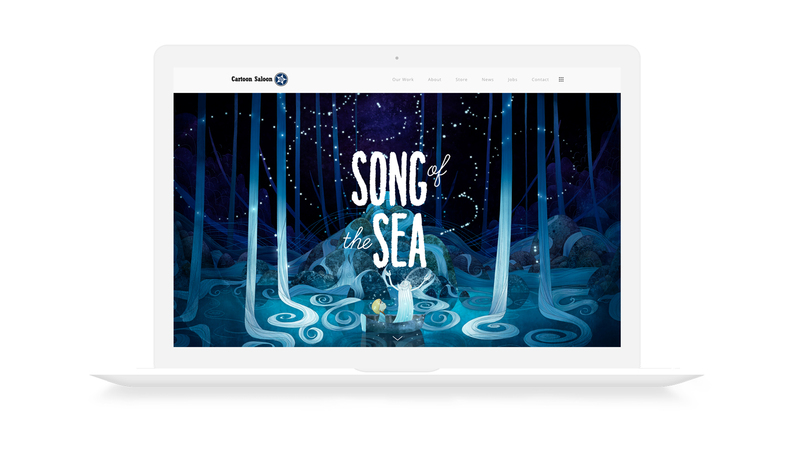 We worked with Cartoon Saloon to create a website that showcases their work in the best possible way for both desktop and mobile. 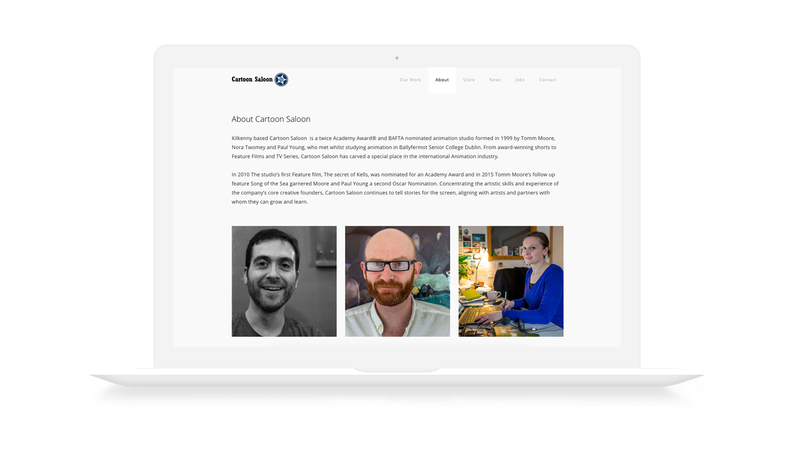 Throughout the website there is animation and visual media to complement the talent that is Cartoon Saloon. 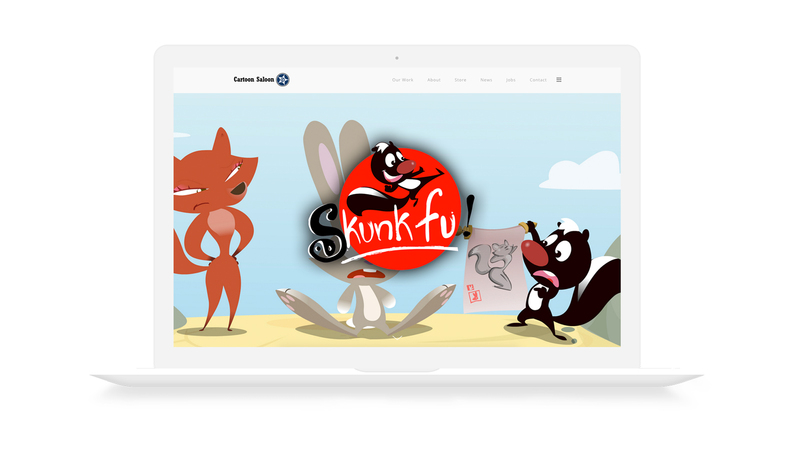 The site is built using WordPress for easy content management updating and strong search engine optimisation.